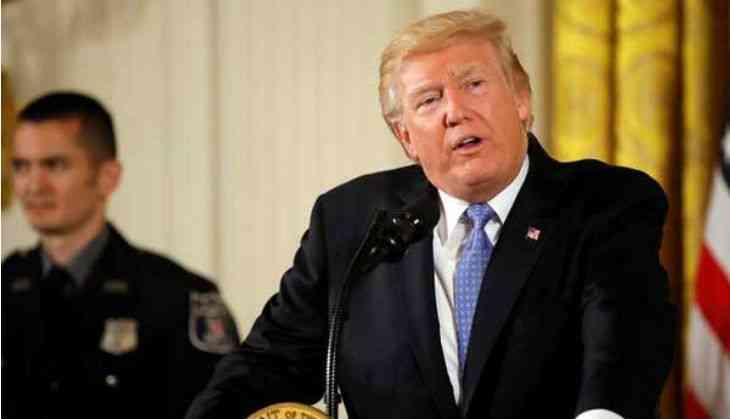 With North Korea boasting that its latest intercontinental ballistic missile launch can target the entire U.S., President Donald Trump condemned the launch branding it as 'reckless and dangerous'. "North Korea's test launch today of another intercontinental ballistic missile-the second such test in less than a month-is only the latest reckless and dangerous action by the North Korean regime," President Trump said in a statement. "The United States condemns this test and rejects the regime's claim that these tests-and these weapons-ensure North Korea's security. In reality, they have the opposite effect," the statement added. Trump further said that by threatening the world, these weapons and tests further isolate North Korea, weaken its economy, and deprive its people. He assured that the U.S. will take all necessary steps to ensure the security of the American homeland and protect its allies in the region. The United States have been concerned over the North's accelerated missile and nuclear programme. North Korean supreme leader Kim Jong-un has issued a fresh challenge to President Donald Trump by launching another sophisticated missile test that could potentially hit the entire United States, North Korea's state news agency said.